According to the FCC, nearly half of all U.S. telecom users have transitioned from a traditional voice system to VoIP. This number isn't all that surprising, given the advantages consumers gain when implementing a wireline VoIP service. What is surprising is the number of individuals opting to not use the VoIP service offered by their incumbent carrier. Verizon and AT&T are two of the largest telecom carriers in the country. Both offer VoIP services, but a large portion of their customers are leaving after making the decision to implement an internet-based telephone system. According to the FCC's report, 38 percent of new VoIP users are not buying their service from their previous carrier. The FCC's report examines a three-year period ranging from June 2010 to 2013. 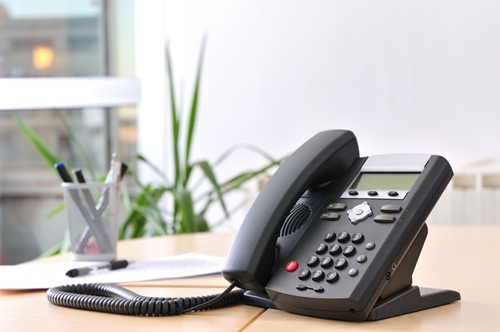 Over that time, phone-based VoIP adoption increased by an average of 16 percent each year. Meanwhile, mobile telephony subscriptions grew 3 percent per year, and the overall retail switched access lines declined at 10 percent per year. This report represents consumers investing in VoIP for personal use, and businesses have proven to be much slower at adopting the technology. However, analysts believe VoIP adoption will soon grow in the business sector, and incumbent carriers may experience the same results. Ultimately, moving to VoIP provides users with the opportunity to get a fresh start with their voice services. Businesses looking to implement telecom solutions like VoIP may want to find a new carrier, whether to save money or update their hardware. A small business VoIP provider can offer the tools and consulting services needed to ensure your company is obtaining the right solutions for your particular needs. Contact Telecom Solutions Inc. today to learn more!